Every year, hundreds of movies come out vying for the attention of the audience, and every year, some of the best just don't manage to catch the public's eye. Some of our favorites each year are among those hidden gems, and so, halfway through 2014, the GeekRex crew thought it'd be interesting to highlight some of the year's best movies that you may have missed. Not everyone, after all, can be quite as obsessive about this stuff as we are. Some (ed: most?) of you have lives. Editor's note: Clicking on most of the movie titles will lead you to an Amazon link to pre-order the films for your own viewing pleasure. [Cal]: You probably best know director David Gordon Green from his stoner comedies Pineapple Express (if you're lucky) or Your Highness & The Sitter (if you aren't), but what you might not know is that Green was once considered the heir-apparent to the throne of auteur indie darling Terrence Malick. His debut feature, George Washington (recently re-released by the Criterion Collection), was an evocative portrait of poor children in a small North Carolina town dealing with a recent tragedy; after years of comedy, 2014's Joe brings Green back to familiar territory. 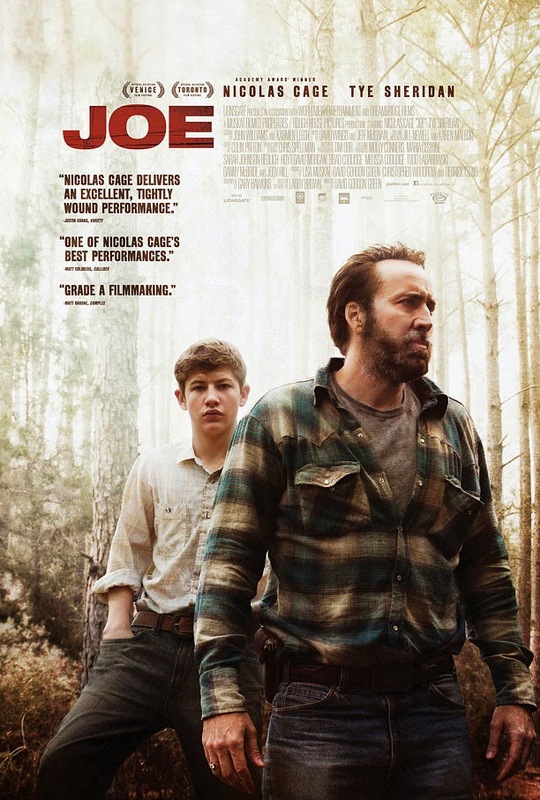 Joe follows an ex-con (played by a superb Nicholas Cage) poisoning trees to make clearing them easier later who hires Gary (Tye Sheridan, in an excellent follow-up/companion piece to Mud), a young man trying to keep his family afloat in an impoverished town. Both lives are headed for ruin - Joe is slowly but surely self-destructing, making enemies of both the police and local thugs; Gary's father is an abusive alcoholic with severe control issues - and the film gets a lot of mileage out of their unlikely friendship and its influence on their slow fall. Green cuts the story down to its bare bones and lets his talented cast tell us what we need to know through sheer goddamn physical presence. Atmospheric, tragic, well-acted, and beautifully-shot, Joe is a powerful return to form for David Gordon Green, and a great showcase for Nicholas Cage's enormous but often underused talents. More than any of that, though, Joe is a powerful movie that, despite its darkness, is never anything less than a joy to watch. Stand-Out Scene: There are a lot of great moments, but one of the best features the late Gary Poulter as Sheridan's abusive father, drunkenly trying to demonstrate what 'popping and locking' is. In many ways, he is playing the film's most despicable character, but Poulter (in his first and only performance) has charm to spare, and he brings it all to this brief scene. [Kyle]: With movies like Dead Man and Broken Flowers on his resume, the existentialist auteur Jim Jarmusch is probably the last person you could imagine would produce a vampire romance film. Well, it was a thing that happened, and the mixture of Jarmusch teamed with perhaps my favorite on-screen pair in years, Tom Hiddleston and Tilda Swinton, created a perfect gothic tinged romance and the visual equivalent of a Cure album. The story centers on Adam, a long-lived vampire (Hiddleston), who is also a rockstar recluse residing in Detroit. As he begins to head toward suicidal tendencies to end his immortality, his wife Eve (Swinton) rejoins him to interrupt those plans and they begin a urban sprawl odyssey exploring a very sarcophagus like version of “The Motor City”, a set of lovers bored with modern day life. Eventually Eve’s sister, Ada (Mia Wasikowsa) joins them seeking shelter and some of that delicious red nectar they have a supply of. To say what happens next would give away too much, but on top of the stunning chemistry displayed between the two leads, Only Lovers Left Alive features John Hurt as a vampiric Christopher Marlowe, and more John Hurt on the big screen is a hard prospect to turn away. Closer to Before Sunrise than Twilight, Only Lovers Left Alive is Jim Jarmusch at the height of his powers, soaked in ennui, dark humor and likely his finest hour, though the effort is made even hipper by his hypnotic leading pair. It was the first movie of 2014 that I knew I had to own on Bluray the moment it was released, and only a few other films (Locke and We Are The Best!) have even come close to its quality. Stand-out scene: Anytime Swinton and Hiddleston are together on screen, it’s a fairly magical occurrence, but I found myself getting a special kick out of watching Eve utilizing her ability to read at a lightning fast pace simply by running her finger over her books. There’s a particularly wonderful moment where in the midst of packing for Detroit, she decides to re-read her entire library again and runs her hands through hundreds of books in case it’s the last time she’ll ever see them. [Hannah]: Obvious Child is the sort of movie you would think already existed, but it doesn’t. It explores the process of a woman getting accidentally pregnant and deciding to have an abortion. But rather than dramatically dwelling on the abortion, the movie is a romantic comedy. Abortions aren’t marginalized or politicized in this film, but the tone is one that admits how both unfortunate and how common the situation is for young women who are still struggling with their finances and careers. Think of it as Knocked Up, but without a baby at the end. And with an actually likable female protagonist. And directed by a female. And written by a female. (I enjoyed Knocked Up, but for these reasons and more I think Obvious Child is a far better film). Controversy or politics aside, this is also just a downright funny movie. Obvious Child features Jenny Slate, most known for her year-long stint on SNL, the voice of YouTube weirdo/sensation Marcel the Shell, and for Mona Lisa on NBC’s Parks and Recreation. She’s never been more likable than she is in this role, in which she plays a struggling stand-up comedian in the aftermath of a serious break up. I wasn’t sure what to expect when I saw this movie; the subject matter and political leaning could clearly veer into righteous, preachy territory without careful guidance. Fortunately the expert direction, casual approach, and hilarious performances keep the film on-point and make it a must-see for the year. Stand Out Scene: It’s hard not to remember (even if you don’t want to) the first 5 minutes of the film, during which Jenny Slate’s character is on stage and delivering her stand-up comedy routine. Slate gets graphic about the reality of unclean women’s underwear - I definitely remember the words ‘cream cheese’ coming up – and how unsexy tossed-aside undergarments can look the morning after. [Harper]: While I've been able to see a lot of great film festival gems this year so far, Metalhead has continued to come up in my thoughts regularly. 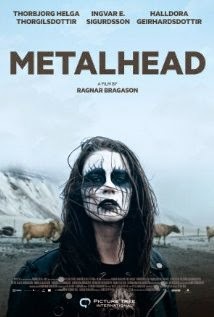 Metalhead centers on Hera and her family who live in a rural part of Iceland, and explores how their lives are changed dramatically with a sudden death in the family. Hera deals with this by become a tried and true metal aficionado, becoming more and more isolated and unable to deal with the depressing state of affairs of her parents. What is truly wonderful about the film is how it explores tragedy and the family dynamic in a brutally honest way without dipping into melodrama, and maintains a level of humor that makes the characters impossibly endearing. Thora Bjorg Helga is simply incredible in her portrayal of the main character, who's bad decisions and transformation feel utterly real. It's both a fun and a very serious film, and it straddles the line nicely. For a movie that could have been a one-trick comedy about the absurdity of a metalhead girl stuck with her angst on a rural farm, we instead get one of the most earnest and enjoyable dramas I've ever seen. Stand-Out Scene: While the final scene is easily my favorite, I'd be crazy to spoil it–so I'll go with my second favorite. Hera's demo tape of her solo metal recordings (done in a cattle barn) makes its way to the closest city, and three young men in a metal band make a journey to her farm to praise her music as "the most brutal thing they've ever heard". This comes at a crucial point in the movie for Hera when she's in the midst of maturing, but the real joy is in seeing these boot and leather jacket wearing metalheads politely have dinner with Hera's family.